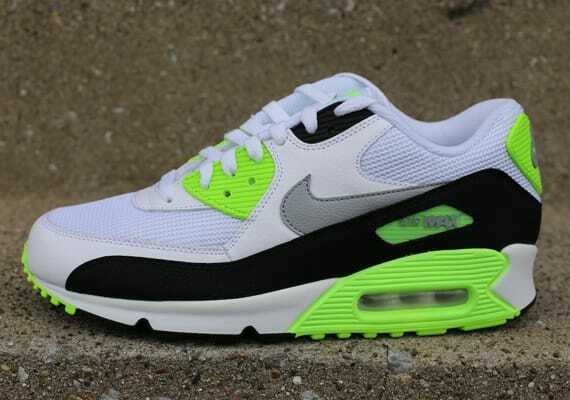 Nike Air Max 90 Essential "White/Wolf Grey–Flash Lime"
The Swoosh and the Air Max 90 both stay essential here, letting loose a new color option of the Max re-up. Flash Lime accents liven up this white, grey and black pair, which has been done up in leather and mesh. Grey shading takes care of the branding, while white laces then round out the new Nike Sportswear release. If you&apos;re liking what you see via the above imagery, visit Nike carriers such as Oneness to cop today. Retail is $110.